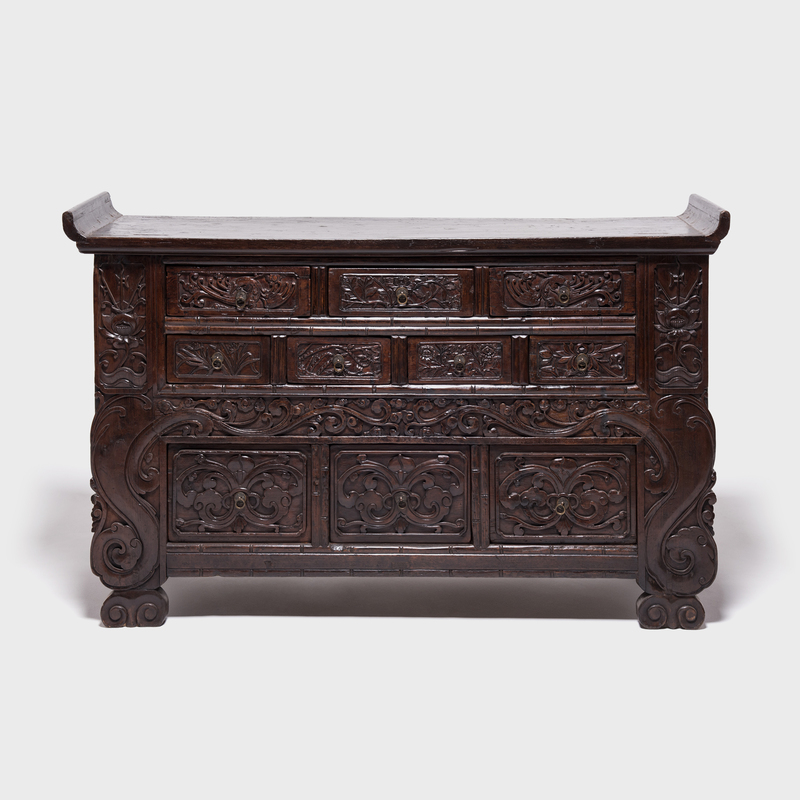 W: 81.5" D: 22.25" H: 34.25"
The handsome design of this monumental sideboard has a striking presence, which is beautifully tempered by the flanged top, tapered sides, and delicately carved woodwork. 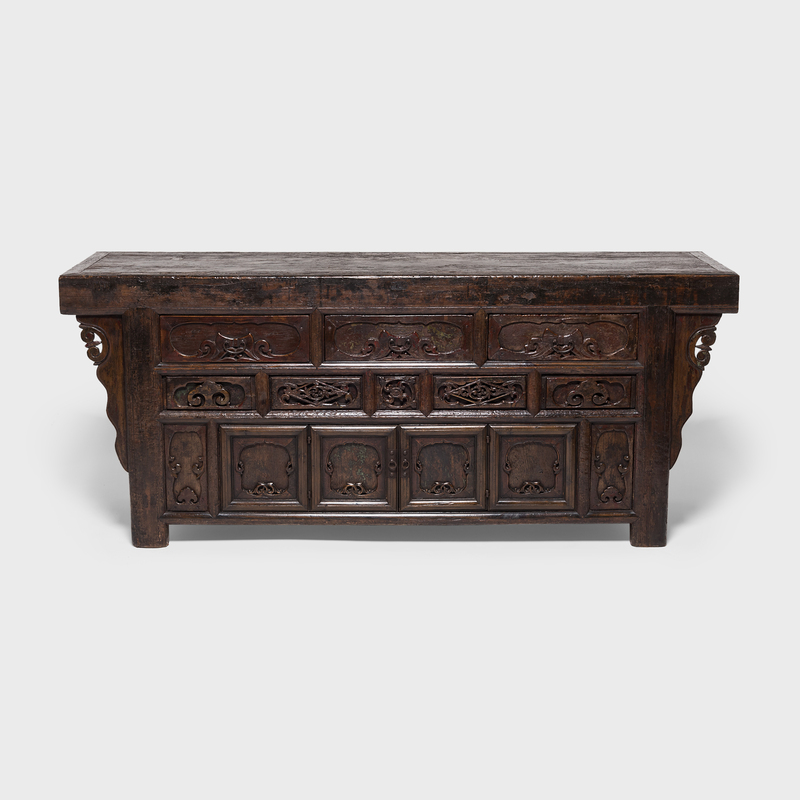 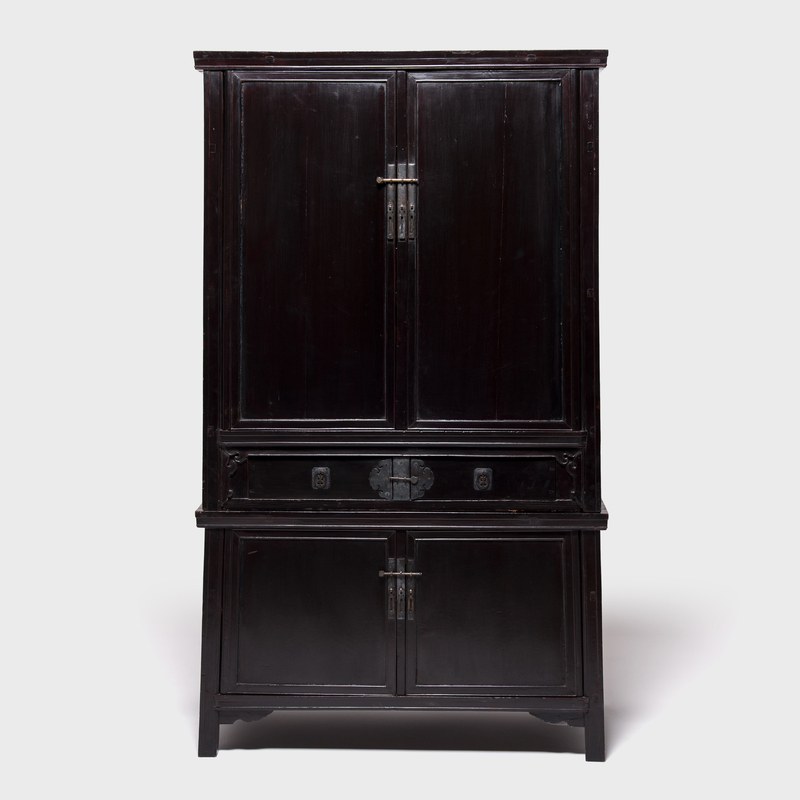 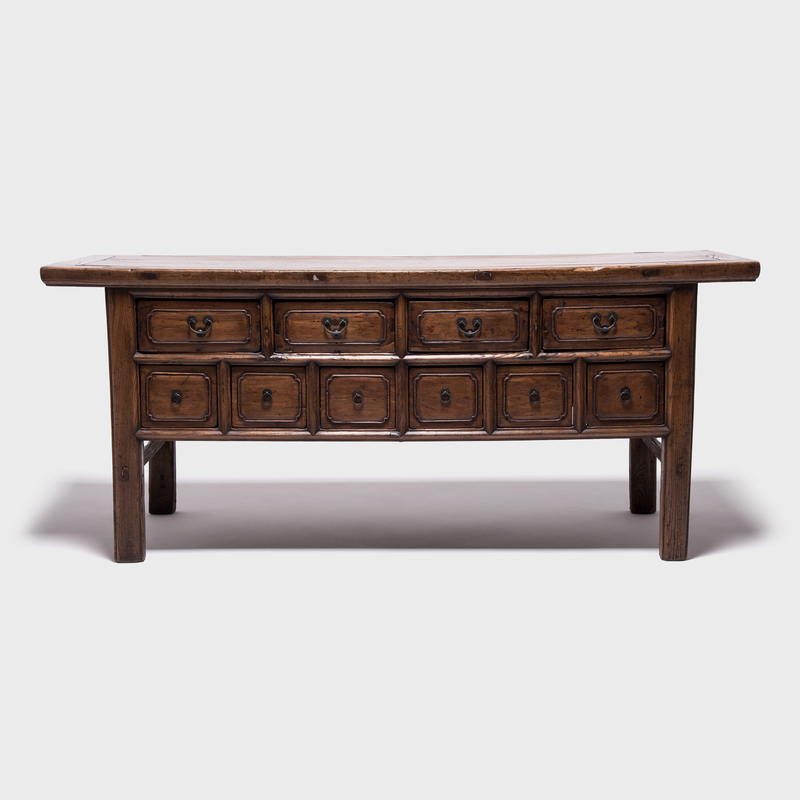 Crafted of solid elmwood over 150 years ago in China’s Shanxi province, this sideboard would have served as a family’s altar, where they paid respects to revered ancestors. 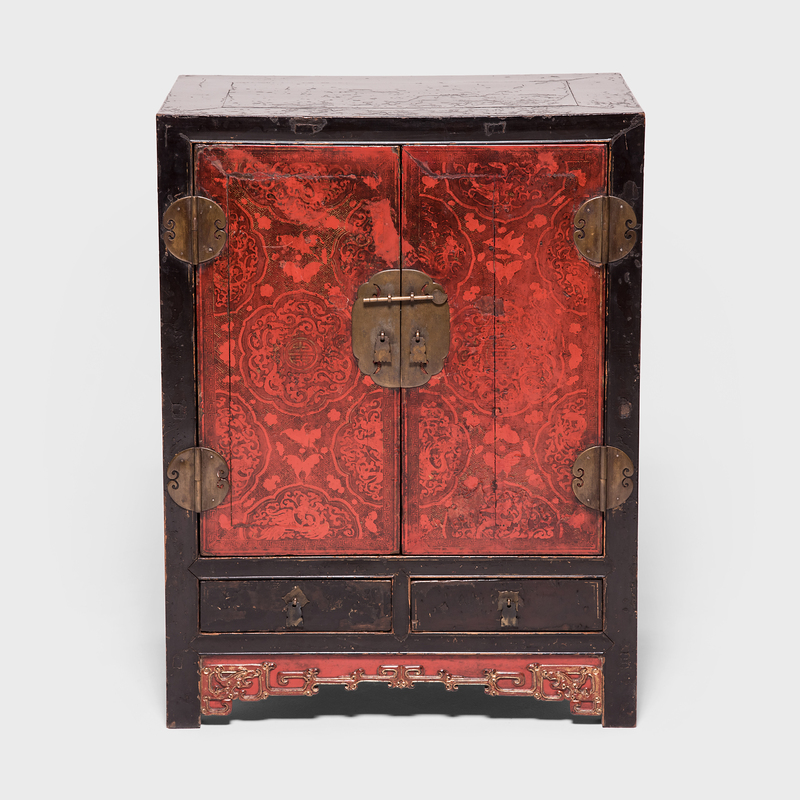 The many drawers would also have been the ideal place to store embroidered robes and precious silks.